It’s an exciting day with two major announcements from EasyVista. First, we blew out a record first half period of any year in EasyVista history. At the same time, we raised funding from investors in Europe and the US. It’s clear that more and more enterprises are moving towards enabling a user-centric work environment, utilizing mobile-first and SaaS technologies to get there. With the service desk proving to be the on-ramp to the digital workplace, EasyVista is experiencing unprecedented growth as its mobile-first service management platform paves the way to a more consumerized workplace. See the press release here that mobile-first and rapid SaaS adoption in IT Service Management is driving record EasyVista earnings in H1 2016. 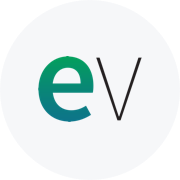 To further meet this high demand for digital workplace investment and enablement, EasyVista announced that it has raised $8.4M in funding from Europe-based Isatis Capital, Alto Invest, and US-based Conversion Venture Capital. This capital will fuel product innovation for the digital workplace and accelerate traction in North America by investing in marketing, sales, and business development channels. Gartner Peer Insights: EasyVista awarded a score of 4.7 out of 5 from customer reviews (as of August 17, 2016 with 20 reviews) in the IT Service Support Management (ITSSM) Tools category. G2 Crowd: EasyVista positioned High Performer on G2 Crowd Grid as Customer Satisfaction ratings surge. The Silicon Review: EasyVista awarded 50 Most Innovative Companies to Watch. The ITSM Review: ITSM Tools, Service Delivery & Being Awesome; EasyVista Are Leading The Way In Digitisation.